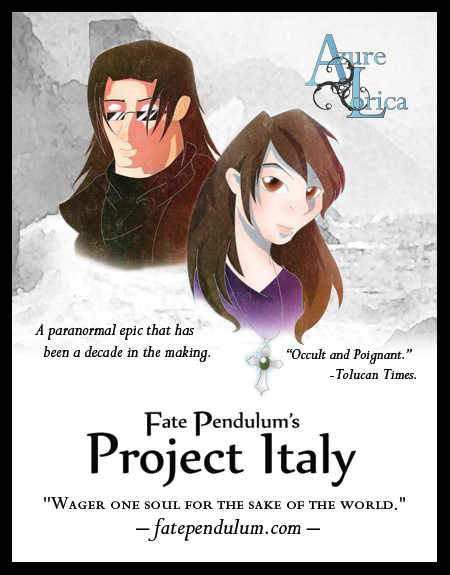 The Fate Pendulum team is less than a week away from our big reveal debut at Ninjacon 2014. As the Director/Co-writer I am going through so many emotions right now, and I thought I would share it with you all. We’ve been preparing for our panel, finally announcing our lovely up and coming cast. We’ve been spending endless sleepless weeks preparing the content, artwork, and flyers to reach out on this project. I feel the aches and pains in my shoulder and weary eyes, but I can’t help but feel like this is one big De Ja Vu. I remember this feeling… from about 8 years ago… I remember when I first got serious about writing the Fate Pendulum novels, after the play I knew that this story could speak more to me. It’s a story about the human condition, it brings the question of the heart to both hero and villain. When my pen hit the paper there was no going back. When it all comes down to it, I was a much happier person those 8 years ago. Because as the Birds fly, the Writer wrote, and the Director directed. Yes fellow artist and supporters, the De Ja Vu of pursuit of the dream is a very blessed and humbling experience. In the mysterious world where there are haunting pasts, cataclysmic ordeals, and aching desire for a family I have found my abode. My lesson of the week: Keep going or your only half a person. Muses are there to allow us to live. The chase of them alone is a rush, but a cooperative relationship with them is bliss. As life got ‘busy’ with school then work, that relationship eroded on my end. I am so gracious that my muse is strong (it helps that my husband follows the same muse, but lets leave that for another post). I look at the art from my hands and I am blown away to see that vision that has been crept for away for so many years. I see the subscribers and followers to this page and I am blown away with the support! How selfish would it be for me to have kept Fate Pendulum pent up in my mind away from the rest of you? The poor Muse carrying the stigma of being selfish, but in the end, isn’t it us that our selfish neglecting our gifts to share? Others are just as blessed with my muses relationship as I am. For the process and the results are a journey of awareness. If you are stopping by Ninjacon this year, please look for our table at the entrance of Artist Alley (We’ll be covered in a blue tapestry). We’ll be holding a raffle to give away 4 tickets to Ninjacon 2015! We’ll also have lovely postcards of the above artwork to take home for free. Our panel will be at 3:00 PM in Garden Room B. We look forward to seeing everyone! Thank you once again for the overwhelming support, from the bottom of our hearts! This entry was posted on June 2, 2014 by healingmercy. It was filed under Uncategorized and was tagged with 2014, azure lorica, blog, Charity, community, creating, dreamers, fate pendulum, giveaway, Indie, Journey, muses, Ninja con, pannel, Paranormal, project Italy, raffle, readers, support, therapy, Vida, writing.